Happy Thanksgiving to all who celebrate it! Take note that our office will be closed Thursday and Friday of this week, so our hard-working folks can have turkey (or their preferred substitute) with their families and friends. We wish you all a wonderful meal, where you eat just the right amount of great food! Welcome to our fourth newsletter! This one ought to be good; we’re just packed with tales of epic testing and developments this month. At last, our office is starting to look like one! We have bright orange pillars to keep us cheerful, a wall just for our City State Entertainment™ logo, and relaxing blue kitchen and conference rooms. A bit of color goes a long way to making this place feel like a home away from home. We’ve even cleared away most of the stuff that was piled on the floor (and well away from the walls being painted), and now we can walk safely between desks. On top of that, we’ve put together a gaming table of mythic proportions (special thanks to Bull, the man with the tools and the know-how), whose pieces did in fact originate in the old Mythic office! We’ve already broken it in with a few games. Well played Cory and Brian, whose little dudes killed my little dudes. *ahem* Glory to the victors on the fields of battle! In other epic news, we pushed our current limits with our latest P.A.T. of the Camelot Unchained™ build. Huge thanks to all who participated! We’re incredibly pleased, and we hope you are too. Things went really great! Our goal was to see how many Backers and Bots could fit into our test area (roughly equivalent in size to a battleground in other games), and we passed 2K before the server was brought to its knees. Think about that for a second: 2K Backers and Bots in the space of something like Blizzard’s Arathi Basin. That alone made the test awesome! Now, the game wasn’t playable at that point, BUT: the server never crashed, and almost no clients crashed either! It’s incredibly exciting to see our capabilities increasing, not to mention a lot of fun. Things are cooking along well. We’ve already gotten a big head start on our P.A.T.#3 checklist! Look out for more exciting developments in the coming weeks. As always, many thanks for the support of all our wonderful Backers, who are the best Thanksgiving gift ever. We hope everyone enjoys this, the fourth issue of Unveiled! To quell the rampant speculation that has surrounded the appearances of these strange and frightening creatures, we must learn more about them. That’s why the intrepid investigators behind this report are so important, and we are all proud of their bravery. Much braver, perhaps, than Tim’s bots, which must have caught a glimpse of one of these terrifying beings. What else could have caused them all to quit at the same time? Tim claims it’s unlikely they went on strike. In any case, as fear spreads, it is important to remember that most reports of actual violence are unconfirmed. Although some citizens say that is only because these mysterious beings are too clever to leave any witnesses behind. We’ve been doing great with our checklist, and have made massive strides toward getting all those boxes checked. Not just that, but in the midst of hitting some of our big goals, we went ahead and added a whole bunch of cool additional items on top of that! Check out our progress in the P.A.T.s checklist, which can be found here! For those of you (okay, all of you!) who have been wondering how our P.A.T. has been going, here’s a screenshot for you to analyze. This was taken during one of our recent test sessions. It features a huge number of Backers and Bots running around in our testing area. The Bots are designed to be the equivalent of Backers in terms of their impact on the game from the perspective of bandwidth, particle generation, movement, and so on. As a matter of fact, they have their own servers that then connect to our servers, just as players do. If you look carefully, you can see all sorts of stuff going off during this session. As always, our screenshots are not retouched in any way–other than placing our logo, Camelot Unchained banner, and things like that. Welcome to the section where we talk directly to you, the Community! Here is where I take your thoughts on the forum and attempt to give you more information on some of those unanswered questions! I’m going to tease you by mentioning our P.A.T.s checklist, which is more tech-related in general, but includes several vision documents that are being written for classes and character models. Notice that we are focused on character art right now, and less on environmental art during our Pre-Alpha Testing. However, one day, when it’s time for us to work on environmental art, I’m sure Tyler could be bribed into sharing something. We do have a wallpaper, fan art, and a concept art section on the website for you to indulge in! 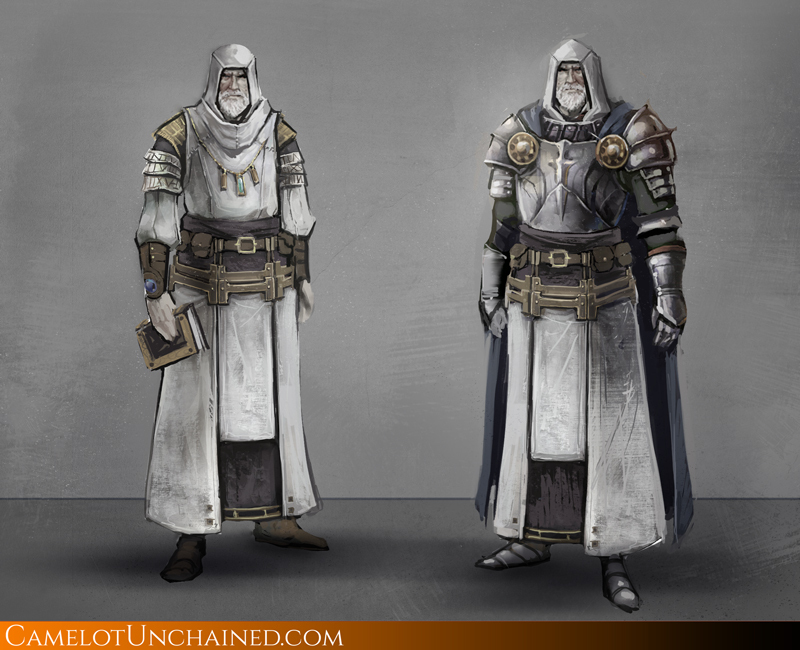 Von Westholfen, while I can’t say much on the look of them in Camelot Unchained (as there is no art yet!) we plan to have polearms, and possibly some unusual weapons as well. Keep in mind that all our weapons are somewhat historically based, so don’t expect to be wielding a body-sized 5-piece sword made of comets. However, there will be fantasy elements on display, like lighting your sword on fire! We are looking at things like the guisarme and fachard as possible ideas, so we are keeping our options open and thinking outside the box. In answer to your last question, we would like to implement spear and shield tanks, yes! Keep in mind that we have (at least) two different branches of our code running on our servers. Our Wyrmling server is the most stable build, and is currently intended to be used for testing by our Alpha Backers. It is only updated once we have a build that has passed through a lot of play-testing by our Internal Testers, and is only available during set testing times. The Hatchery build is far less stable, but we like to keep it running 24×7, so our developers can test new and wondrous (and sometimes scary) things on it. While we don’t break Hatchery on purpose, its stability is a lot less important to us and to our Internal Testers. It goes down at times, has weird things happening (we have some interesting screenshots we can share at some point), and sometimes, well, it is just very cool. Our IT folks can gauge the progress of the game, and really be involved in the game’s development at a very early stage. Things change quickly, and it is exciting to see! Overall, our programming team is focused on creating solid, relatively bug-free code (no code of this nature is ever bug-free at launch). While that is said a lot by developers, both our Alpha and IT testers can attest to how stable the game has been the vast majority of the time. Both Mark and Andrew have spoken a lot about our strict code review policy, which, while it has slowed down the game’s development, has resulted in an engine which has already shown that it can handle the crush of 2K players in a tiny world space, even though we are still a year and a half from launch! Q. Another question. Do you have any new race ideas in development or for now we’ll stick with these? We certainly do have new race ideas! The best place to look for those is our “Something to Think About” section of the forums. While these are very much still only a possibility for the game, we have some great stories about the Phouka (a horse/man race), and the Veilwalkers (a possible stealth class of mysteriousness). We have also internally discussed the Orcadians (called Orcs by their foes). Mark and Max always have the creative wheels turning. Don’t forget that the Gargoyle, among others, still needs a Becoming story too 🙂 As for a 4th realm, that is a very unlikely addition to the game. You never want to say never around this studio (or in a world where Veilstorms are common), but I wouldn’t expect that manner of change to the game. It’s too early to give a definitive answer on the high-end benefits yet, but if you are a P.A.T.s player, you can see that we have minimum requirements to play, and those will evolve over time until launch. However, the requirements shouldn’t be of great concern, even if you don’t have a bleeding-edge system. We have been very clear regarding our intent for our game to run on a wide variety of CPUs and GPUs. We are NOT going to require that people have the latest and greatest computer, along with a Titan Black, or the best possible internet connection in your country. Now, what we do recommend is that none of our Backers run out to the store right this second to buy a system specifically to see all the best sparklies and effects of Camelot Unchained. Put off your purchase as long as you can, so you can get a better deal on your technology. As always, the newer the better for any game like ours. There are lots of hot topics on the forum right now, including the question: “What is a guild?” Do you think guilds and groups draw away from Realm Pride or add to it? Do you have thoughts on the proper mechanics of CC and if it should include Mez? Come and join us at the forums to offer your thoughts and ideas on this and other intriguing topics! Last issue, we asked for some spooky stories, and boy did you folks deliver! We enjoyed reading all the fanfiction, but we only had space for one story. Congrats to Regalaxie, whose scary work can be found below. For our next contest, we’ll be looking at the year in review. As our newsletter in December will come at the end of a very exciting year, we think it would be cool if you folks grabbed your favorite CU image from the past year (pulled from our website, tumblr, twitter, or wherever you like), and give it a caption! Post your stuff (three entries per person) in the thread you’ll see popping up in the fan art section of our forums. We’ll pick our favorite to put into our December newsletter! Check the forum post for more details. And now, without further ado, a scary fanfic short story! It was a cold morning. Not unusual for this region, but still uncomfortable. A low mist was covering the battlefield, hiding the carnage of a recent battle from sight. The scent of blood hung in the air. Olaf surveyed the scene. Many brave warriors had died honorable deaths here, leaving behind a wealth of weapons and armor on their journey to Valhalla. Many of these weapons would be destroyed and used for scrap, but the nicer ones would be sold to the poor souls not valiant enough to fight for the realm. These men would profess to be victorious warriors in hopes of wooing maidens. Olaf considered them deplorable, but their gold shined as bright as any other. He began his ritualistic search through the piles of corpses. Many of the bodies were slightly frozen, an effect of the region’s frigid climate, but they quickly warmed in the morning sun. Olaf knew this meant the carrion birds would soon be upon him, fighting for their portion of the bounty. Could one of these birds be trained to retrieve battle armaments, Olaf contemplated. They were senseless birds, probably too distracted by the rotting meat surrounding the prize. Olaf’s musings were cut short as he noticed a figure huddled over a corpse appear in the fog. Who was this shadowy apparition? A warrior grieving over a fallen comrade. Perhaps a scavenger, like himself. It appeared to Olaf as if this individual were stripping the armor off of the fallen. A scavenger, then, Olaf concluded. There were plenty of spoils for the two of them. No need for conflict. Olaf lifted the bundle of weapons he had gathered, and prepared to move on. Metal hit metal, producing a sharp resonance. The other scavenger stood, and turned toward Olaf. His face and armor was covered in blood, his hair matted and his eyes dead. Olaf looked at the corpse he had been scavenging. All of the armor was tossed to the side, and much of the corpse was now gone. The realization slowly dawned on Olaf. This scavenger wasn’t scavenging. He was eating. Before he could react, the blood-soaked maniac began sprinting toward him. Olaf turned to run, but was toppled by pile of armors he had collected. The renewed sound pierced through the remaining fog, causing more blood-smeared heads to peak above it. They were everywhere. Olaf was surrounded. He dropped his treasures and tried his best to scramble away. It was too late. They were already on him. He felt hands clawing at him, icy on his flesh. His struggles were in vain and his cries for help went unanswered, drown out by the deafening sound of his attackers. He closed his eyes in anticipation of his fate. This was not an honorable death. There was no Valhalla awaiting this coward’s death. He opened one eye. The phantoms had vanished. Olaf was safe. He thanked Odin as he picked himself up, and retrieved his packs. After all, if he wasn’t dead, he still needed to make a living. A big thank you to our Internal Tester Mehuge, for helping out with some tricky issues we had getting Trillian users to connect to our server after an update. 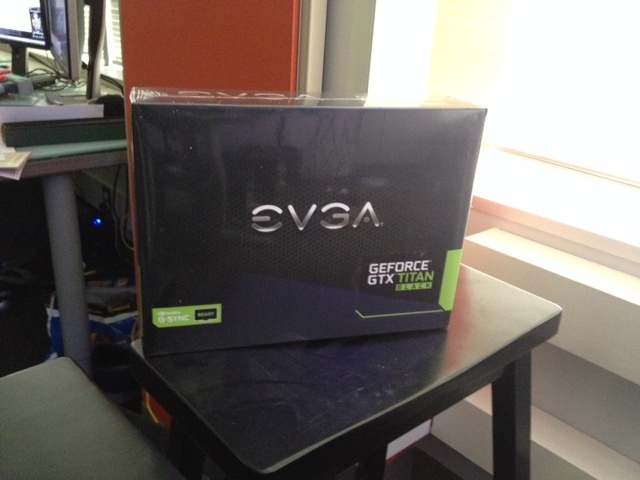 Many thanks also go to Naezgul, who sent us a GTX 285 to help us test with an older graphics card. We also thank Nvidia, for their amazing support of our development team, as well as for sending us brand shiny new Geforce GTX Titan Blacks! Max tells me there are some questions floating around regarding the reasoning behind the unique way we’re handling daily rewards in Camelot Unchained, so here is a brief overview of where this concept came from and where it’s going. This system was originally Mark’s idea, when we first started talking about progression: taking a cue from pen-and-paper games, where players go about their adventures fighting enemies and accomplishing tasks without finding out about the rewards they are earning until the end of the night, when everyone updates their character sheet and goes home. You can check out the initial BSC progression system reveal here. The standard instant-gratification model of MMORPGs, on the other hand, has been a staple of the genre about as long as it has been around. Unsurprisingly, these ‘achiever motivations’ have helped to drive player retention, even in cases where gameplay such as long, boring level- or reputation-grinding hasn’t been very fun. However, the motivational strength of the instant-gratification system becomes a weakness when a game is not meant to rely upon its addictive achievements, but on the strength of its fun and interesting gameplay. Or, as in our case, when a game revolves around the ongoing conflict between three Realms, thus bringing the overall success of each Realm into play partially via rewards. In the standard motivation model, having fun often comes second to chasing carrots: Not without reason, players tend to focus on what gives the best and fastest rewards, often at the expense of actually enjoying the experience of playing the game. In addition to the motivational focus, Camelot Unchained has another vital piece that makes a different reward model so important. We’re creating a horizontal progression game here, where we must maintain a low power differential between players. With a standard progression model, we’d run the grave risk that progression rewards wouldn’t feel like nearly as much of an accomplishment, when compared with the massive power boost and new content unlocks gained when leveling up in a vertical progression game. Therefore, we need to do something different, something which both emphasizes fun over achievement, and fits with our horizontal rather than vertical progression. So, a more consistent but less frequent reward system will power up two of our major goals. First, the lack of achiever motivations will place a higher emphasis on gameplay, helping to let players focus on playing the game and having fun, rather than micromanaging the rate at which they earn rewards. Second, horizontal rewards showing up daily, rather than moment to moment, should help to mitigate any disappointment players might feel in a lack of raw power. By presenting rewards when there is time to appreciate them rather than in the midst of combat, we give players the opportunity to start a day’s first play session by trying out anything newly unlocked. That’s when there will be the most time to change out equipment, construct new abilities, and prepare to take advantage of new capabilities. That’s how we intend to create a positive experience for our players: When players begin their first session of the day, they’ll receive all the rewards earned from the night before. As of right now, this proposed system is still an early concept. We need our player characters to have a fully functioning set of stats, abilities that can be custom-built based on components, and a complete set of equipment slots that can be filled with appropriate items, before progression can have much real meaning. As this and other systems make their way into the alpha build of the game and beyond, we will be looking for feedback on our forums and from future surveys about this system. It is very important to us that these systems work in a way that you enjoy and will keep you interested for years to come. Greetings from the coffee-fueled lands of art. We’ve been super busy since the last update. Progress continues to be made on both the Arthurian plate armor and the heavy-armored Viking models as the armor system is constructed. As things are tweaked, we reference real world materials as well as construction elements. It’s the small things like these that will really add to the believable fantasy of this world. 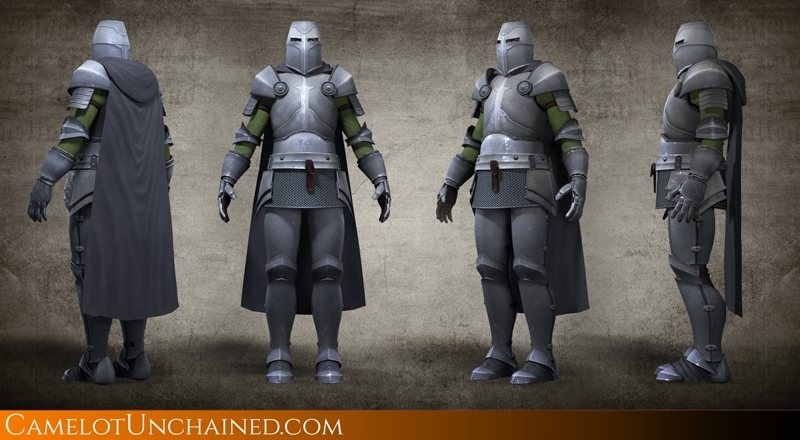 As work continues in modeling and animation, here on the concept art side of things, we have spent the last few weeks waist-deep in cloth and light armor development. 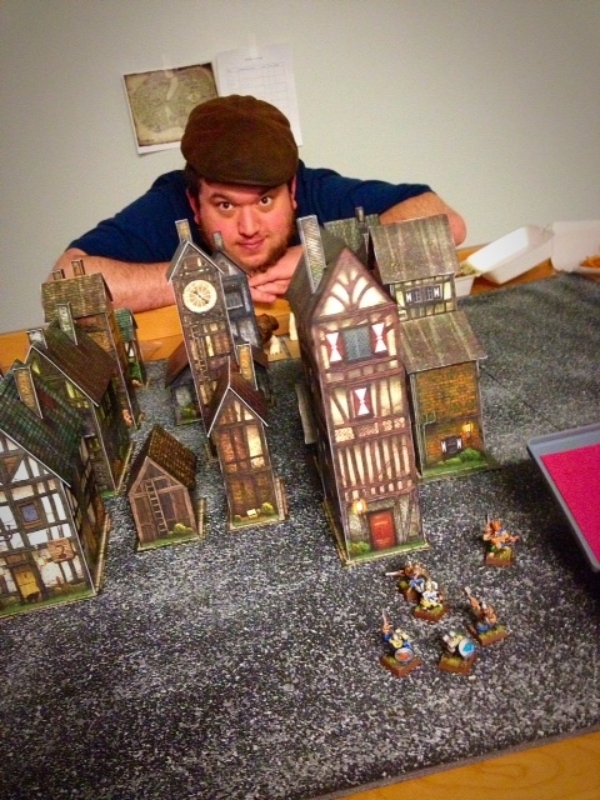 With a particular focus on mage themes, we are using this as a great opportunity to get down a real vibe for our action-packed glass cannons (just don’t let the term glass cannons worry you too much. Mark and Ben have some interesting ideas on making our mages much more varied than that). Since thematic mages are a major part of our game, we are still designing with the intention for good compatibility between armor types. A cloth hood should work well with a light leather coat, or even a robe with heavy armor, for those who favor a more defensible flair. Mixing armor types for interesting play styles should feel just as good as an all-same-material armor setup. A real challenge we face is making sure our mages are not just guys stuck in overly-embroidered, fussy dresses. We want mages to feel like they belong on the battlefield, even if he/she is a majority cloth user. 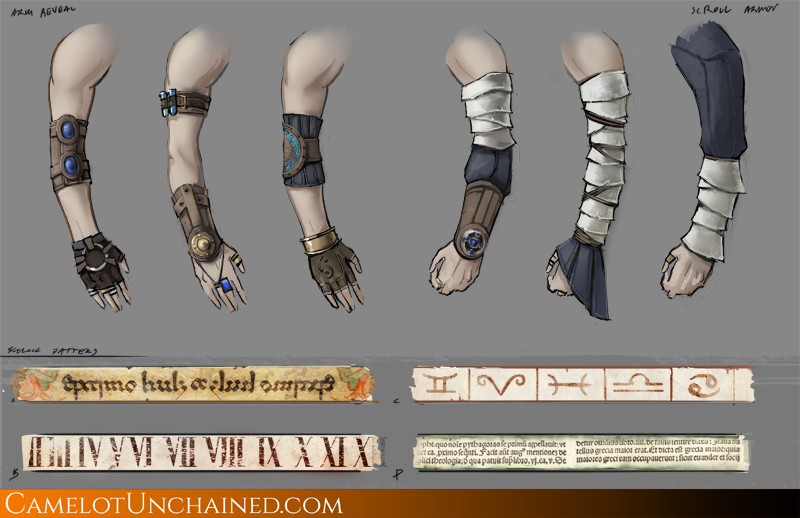 We’re also exploring the idea of giving mages wearable enchanted scrolls, and armaments that reveal arms with magic-based tattoos. The concept behind these is they may work well in the future as strong visual cues during gameplay, giving a hint at what bonuses or resistances a particular mage is sporting. As mage armor is moved into the modeling and rigging pipeline, the concept team is focusing a bit more on visual effects for the mages. To make sparkles and poses not just a strictly eye-candy thing, but something that will really assist immersive gameplay with clear visuals. More action-packed arts are soon to come, and we look forward to all the awesome community feedback! This is a very exciting time for us! This month, a lot of different pieces came together to really improve the game on the tech side. We boosted game performance, and added new features that are starting to show off what we want in the final game. Players have commented that the game feels more and more like a game than a test. After spending a lot of time building a stable foundation, we’re finally able to implement systems that have been discussed since the Kickstarter campaign. As developers, it is great to be able to finally play the game. Here is just a sampling of what we have been working on since the last newsletter. The big news is that we scaled up the server capacity. A system of “proxy clients” let us offload some of the work from the server and allow many more characters on the server than before. Whereas the server used to max out at around 300 characters (players and bots), we were able to flood a single area on a single server with over 2000 characters before things ground down too slow. Keep in mind that this is just the first pass; more improvements will increase this number further. Also, please remember that the worldspace for our ‘server’ is only the size of other games’ battlegrounds. Another big improvement is bone level of detail (LoD). This system allows us to simplify animations of characters at a distance, to allow more characters to appear on screen at once. 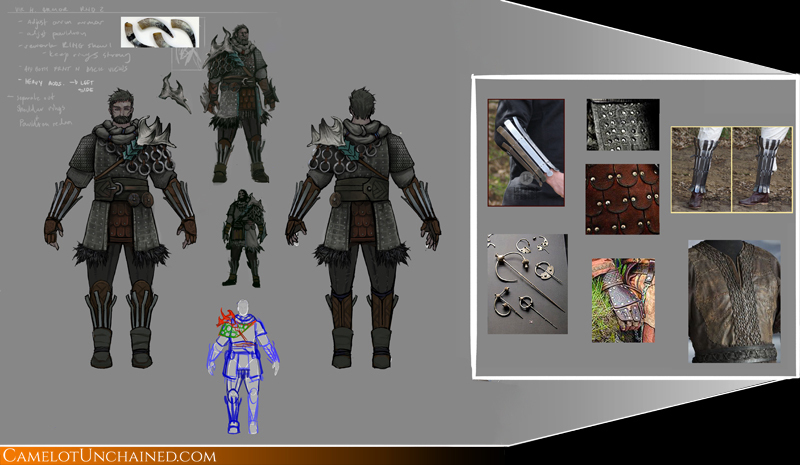 In addition, there was a reduction of the number of bones in all meshes, improving frame rates on the client. This month we saw a new user interface design.The game now has a dynamic hotbar that will expand based on the number of abilities. This is only a placeholder for the next rev of the U.I.! An even better U.I. which will be coming down the pipeline. Chat was improved with a first pass of tabs. Now different messages will go into different tabs. We’ll work to expand this with more features as we go forward. And, perhaps the most talked-about new feature: dual targeting. Now you can have a friendly target and an enemy target selected at the same time. Abilities will apply their effects to the proper target based on how the ability is defined. For example, we could have an ability where you drain health from your enemy target and transfer it to your friendly target! We have autorun implemented in the game. This isn’t very exciting right now, as the map is still very small, but it has helped us a lot with testing! In addition to dual targeting, you can now explicitly target yourself. This will allow you to make sure beneficial effects (such as receiving the health drained from an enemy, mentioned in the example above), are applied to you. Perhaps the most exciting gameplay change is our new ability interaction matrix. This is an expansion of the prior system, where a colliding water dart and fire dart became a steam cloud. We now have all projectiles interacting, both with other projectiles and with the walls created from abilities. From this foundation, we will implement all sorts of amazing interactions as we add more types of abilities as required by our A.I.R. system. And we’re only getting started. Expect even more amazing things next month! In this month’s Tech Central, we have a special message from our U.I. Master Extraordinaire! He’s going to tell us a little bit about what makes the Camelot Unchained User Interface so cool. 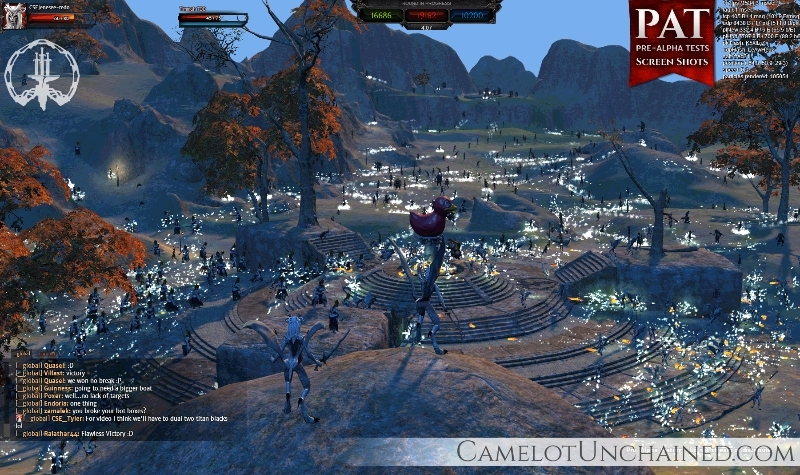 The user interface of Camelot Unchained is built out of the web. What this means is that web browsers are laid over top of the game to render all of the different user interface parts. There is a web page for the in-game chat, one for your skill bar, another for your inventory, etc. We believe there are a ton of benefits to this approach. Here are a few of them. If you have questions, or if you’re interested in learning more about making your own UI mods, please join us in the UI Modding and Hacking Forums, here! For our Partner Spotlight this month, we have the pleasure of speaking with Chad Vivoli, a Technical Evangelist at NVIDIA. You might recall how Nathan Hoobler from Nvidia joined us for the BSC Days, and now we want you to get to know Chad as well! Q: What does your role entail at Nvidia? A: My job is to make sure NVIDIA is aligned with software developers in order to make sure that our mutual customers have the best experience possible. As part of my job, I get to work closely with studios like City State on many levels: R&D efforts during early development, basic technical support as bugs and issues arise during development, marketing, and joint promotions. Q: Thank you so much for the Titan Blacks and 900 series graphic cards you sent over. Can you talk more about their capabilities? A: Originally designed for super computers, the Titan Black graphic cards are one of the most powerful single GPU cards on the market. Even with all that power, it’s incredibly quiet due to amazing thermals. With 6GB of memory, these cards are perfect for anyone who likes to run their games maxed out. The GeForce GTX 980 cards are our DX12 level graphics cards based on our new Maxwell architecture. These next generation cards give you a solid boost in performance while becoming more power efficient. The GeForce GTX 980 is a great card for people looking to the future. The 980 gives developers a whole new set of features to work with, which always leads to an exciting time in gaming, as we’ll get to see new things coming for game developers over the coming year. Q: I have heard rumors of your Technical Artists and their amazing skill with the dual magic of art and technology. Please tell us more about the work they do with you, and how the mastery of Nvidia’s Technical Artists affects Camelot Unchained. 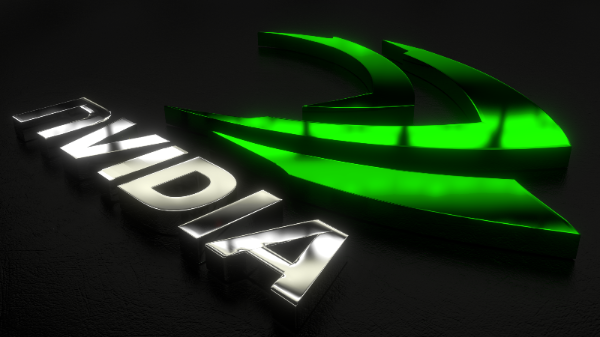 A: The Tech Artists here at NVIDIA are a great group of guys that love games and enjoy working on them. They’ve worked on a number of AAA titles over the last five years, adding in some amazing high-end effects. Their main goal is to push the boundaries on what can be done with real time visual effects. 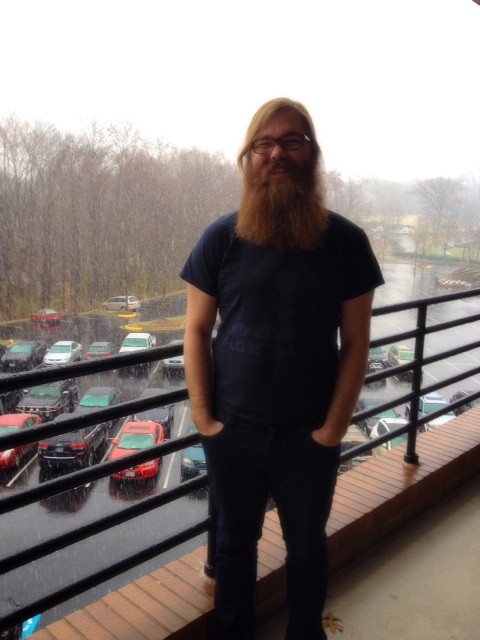 They work directly with developers, creating effects, teaching, and promoting PhysX and GameWorks. They also work closely with our internal engineers, giving them insight on how our technology will be used by developers. 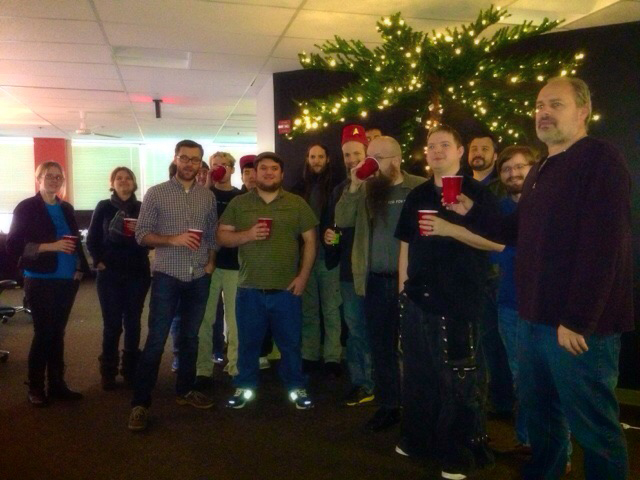 Going forward, we’re hoping that they’ll get to work closely with everyone at City State on Camelot Unchained. As a fan, I’d be excited to see what amazing things everyone could come up with. Q: You can never have enough opportunities to show off Nvidia’s cool stuff. Our Community might be interested in seeing your graphics cards and technology in action elsewhere. What public events can we plan on seeing Nvidia attending this year? Hopefully we can join you as well, for some of them. A: It’s still a bit early to confirm exactly what we’re doing throughout the next year, however NVIDIA always keeps people updated about our public events via our social sites (shameless plug below). As a fan of both Camelot Unchained and technology in general, I feel there are some opportunities to do some livecasts, or videos with City State on some of the amazing things you’ve done already. Hopefully we can do something soon. Thank you so much for taking the time to talk with our Community today, and for sharing this information. We look forward to seeing you again soon at the office, at events, and in game! So, to our wonderful Backers, if you see Nvidia helping to test out P.A.T.s, thank them and say hi!